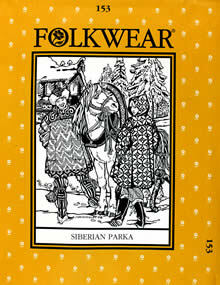 A generously-sized pullover parka based on a smock worn by men in Western Siberia. 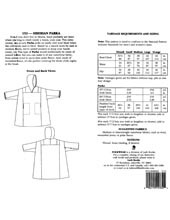 Traditionally made of tanned leather, this easy-sew garment is equally wonderful in cozy fleece, sweatshirt material, or any warm outerwear fabric. Sized for men and women Extra Small to Extra Large.